The Earth temple is one of several one-time-visit locations that you will need to pass in order to progress. I want to make sure it’s actually fun before I continue making temples. That’s where you come in. 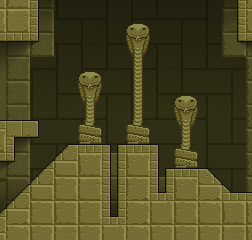 Snakes are the symbol of the Earth Temple. The Tree of Knowledge is my second Knytt Stories level. If you’re familiar with my work then that may come as a surprise since I’ve released 4 complete levels, an unfinished level, and worked on several collaborative projects. TToK is the second level I started making. I’ve been working on it irregularly for years. And now after all this time, I’m ready for a round of testing. The Earth temple is one of several one-time-visit locations that you will need to pass in order to progress. Each temple will have a three fold nature –explore, challenge, boss. I want to make sure it’s actually fun before I continue making temples. That’s where you come in. If you’re willing, you can download a sneak peek of just the Earth temple. Then, I’d appreciate reading your thoughts. You can give feed back at the Nifflas Support forum or in the comments section below. I must warn you though, there are some spoilers within the beta. They’re tiny spoilers, but spoilers none the less. Last few things: The music is something I just threw in. I plan to work with a musician when I reach the final stages of development, but for now we have publicly licensed music by a Sephirot24 at Newgrounds.com. 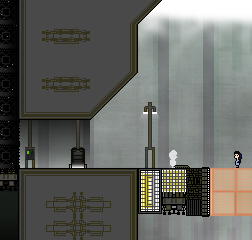 Also, you will need KS+ to play this level. Capitalism 2 is my grim addition to the social commentary of the original. My graphical approach mimics the visual assault of the original with higher detail. The busy, claustrophobic, low-quality graphics of Capitalism add tremendously to the feeling you’ll get by playing it. Years ago a Knytt Stories level, Capitalism, was made by a man known as Googoojoob. It was an art game that pitted players against the oppressive side of economics in the “free world”. Capitalism 2 is my grim addition to the social commentary of the original. 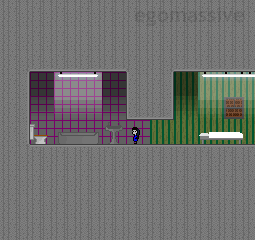 It was also my entry in a Knytt Stories competition where the premise was to confine the level to a single room. Thus, this is an extremely short level focusing on one critical moment in the playable character’s daily routine, the moment she can choose to break the cycle. Try to find both endings. 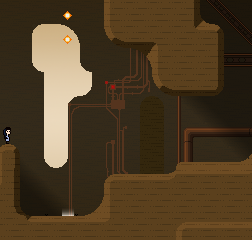 And, here’s the level mine is based on. If you’ve never played Capitalism, then you should play it first. If you have played it, even long ago, then it isn’t necessary to play it again. Capitalism 2’s opening scene acts as a refresher course. Endless Winter is a round-robin Knytt Stories level over two years in the making. Juni from the title screen. All cutscenes featured this style of character design. An inhabitant of the icy realm. Beneath the snow, abandoned labs wait patiently. 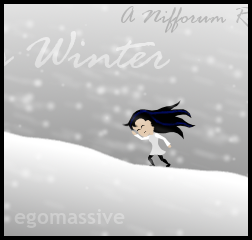 Endless Winter is a round-robin Knytt Stories level over two years in the making. Many many people have played a part in its development giving the level a slightly eclectic feel. However, the story and the winter theme tie it all together nicely. The gameplay is mostly easy environmental, but there are several points where players can choose a hard challenging path. Although the game is not very ambitious in scope, the globe spanning collaboration became a beast of a job, especially when the growing sentiment was for one cohesive plot. I initially got on board as a graphics contributor with no intention of doing any level design. As the problems started to arise, I started making suggestions. In the end, as it floundered, I took over. You can see my hand in the story, which was written around the divergent designs made by many designers before a plot was considered. 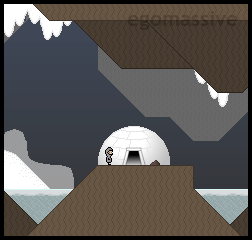 The key piece of graphics is a winter tileset by Smashy. I created complimentary tilesets to add ice, caves, buildings, and ruins. 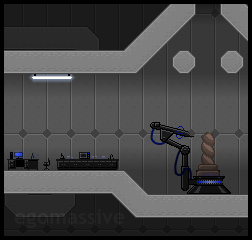 By request I made a bunker style lab which was so popular the level ended up being filled with labs. My largest contribution is the cutscenes. 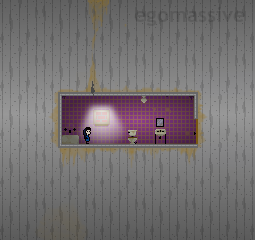 I enlarged screen shots from the level, but added higher detail characters. This resulted in my most professional looking cutscenes to date. I want to credit a few people. Bulbapuck started the project and fostered a spirit of creativity through his easy-going direction. Headgrinder kept the project alive in the middle and developed the underlying themes of the plot. Sergio Cornaga helped me tie up the loose ends with some excellent contributions and humor. The majority of the ambient background music is by Sion, and was used through the public license he so graciously attached to it. Complete credits are available at the end of the game. A final note: This level plays in the official 1.2.1 Knytt Stories release. But, some custom NPCs are more lively with my KS+ mod. My Knytt Stories mod is complete, as well as the editor. It pretty much has to be complete at this point since I’ve just lost access to the software required to write it. I could buy it myself but it’s total crap-for-crap and expensive. Anyhow, Knytt Stories Plus is totally free and totally awesome! You can find it through the nav-bar up top. … Totally! Quick sidetrack; If you are a KS fan, then the original creator, Nifflas, would appreciate your help in Green Lighting his latest game on Steam. The game is Knytt Underground. I helped bring a group effort KS level to completion. Originally it was supposed to be created in a round-robin format and I volunteered to make graphics. In the end it, to save it from failure, I took over. There were a lot of people who had a hand in it. Personally, I’d like to thank Sergio Cornaga for helping out at the end when almost all enthusiasm for the project had vanished. I promise to make a post for Endless Winter here soon! I’ve put a great deal of work into my farming simulator. It’s front-top-side isometric and it’s a collection of simulator mechanics we’ve all seen before. It is my hope that the combination I’m using will make this the best farming game ever! I’m being sketchy with the details, because I think they’re extremely stealable. 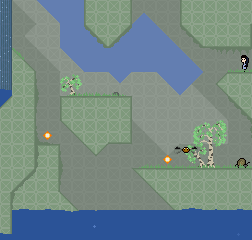 More so, I have some gorgeous pixel art graphics that I don’t dare post on the open web. Am I being too paranoid? Probably.